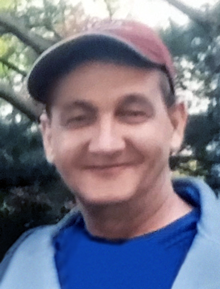 McDonald, Joseph T. Jr., of Dorchester, formerly East Boston, passed away suddenly, after a brief illness, surrounded by his loving family on Monday, February 4th. Beloved husband of Elizabeth McDonald. Cherished son of Hilda Brown McDonald and the late Joseph Sr. Devoted father of Sean Anthony Wilson-McDonald and Dyllon Joseph McDonald. Family and friends will honor Joseph by gathering in the Ruggiero Family Memorial Home, 971 Saratoga Street, (Orient Heights) East Boston, on Thursday, February 21, from 10:00 A.M. to 12:00 P.M. Committal services will be private.